Ganga Darshan is an exclusive hotel in the heart of the Holy city Haridwar that offers every comfort at economical rates. 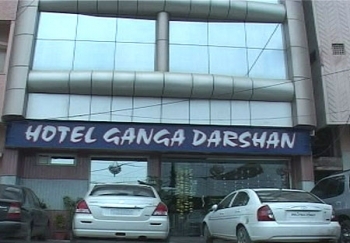 Hotel Ganga Darshan is matched in a unique manner with the culture and ambience of the holy town. Its graceful architecture that fits in perfectly with the lovely backdrop of the hills and the greenery all around flows wonderfully into the interiors, ensuring comfort, service and relaxation to our customers. At Hotel Ganga Darshan you experience true tradition of India in its most modern ways. Hotel Ganga Darshan is conveniently located at Hardwar Road, near to Har-Ki-Pauri and Mansa Devi Temple, just 1.5 kms From Railway Station and Bus Stand. Hotel Ganga Darshan offers the finest choices in first class accommodation with 28 well furnished deluxe rooms. The rooms are extremely spacious and offer all modern facilities & services for a comfortable stay. Each room is equipped with first class facilities. Deluxe Rooms are by far the most spacious in the city. The deluxe rooms are spacious and well furnished with centrally air conditioning system and attached bath and shower. 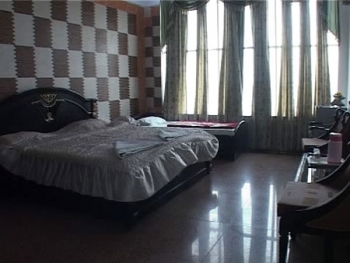 Hotel Ganga Darshan offers well appointed and well decorated rooms to the guests. The rooms are provided with the modern amenities required for a comfortable stay. The rooms are provided with attached bathrooms with twenty four hours supply of hot and cold water. Hotel Ganga Darshan in just 1.5 kms from Railway Station and Bus Stand, Jolly Grant Airport is 35 km, Rishikesh is 25 km and Mussoorie 90 km from the hotel. By Road Hotel Ganga Darshan is 210 kms from Delhi, 55 kms from Dehradun, 326 from Badrinath, 275 Kms from Kedarnath, 257 kms from Yamunotri and 268 Kms from Gangotri.